No need to go to Vietnam! (SPOT.ph) First of all, what is banh mi? Banh mi literally translates to bread. 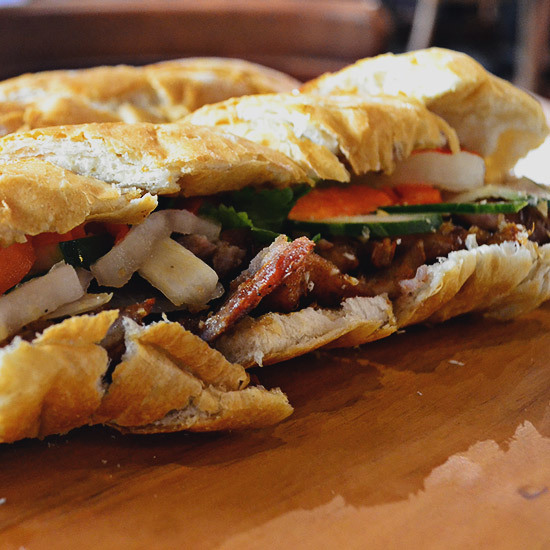 It was Vietnam’s Indochinese neighbors and French colonizers who influenced them to put meat and veggies in their baguette-inspired bread. 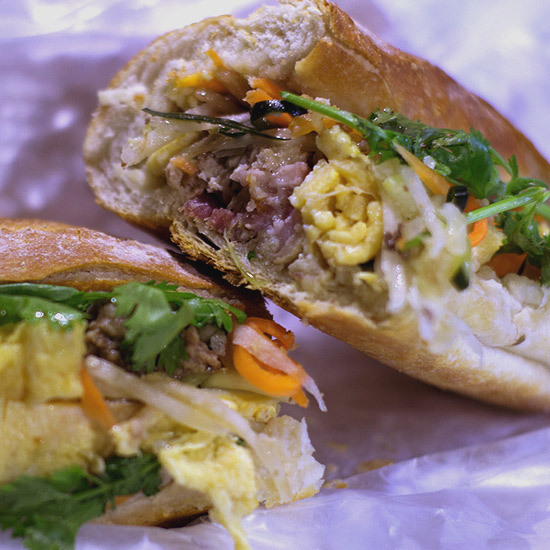 Now, people know banh mi as the essential Vietnamese sandwich. 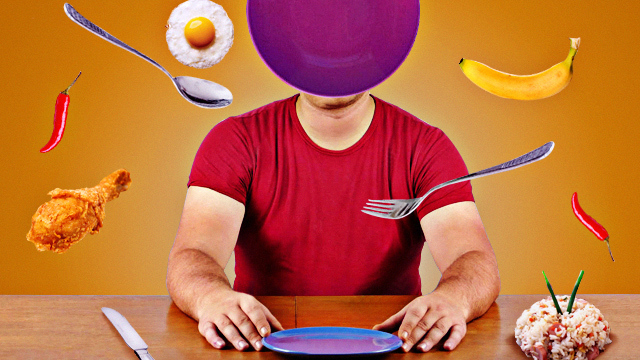 It's probably the country's next most recognizable dish after pho. Despite its many varieties, from beef to pork and duck, a traditional banh mi is not without generous slices of pickled vegetables, liver paté, crunchy bread, and a creamy sauce. Inspired by a recent trip to Ho Chi Minh City, we went in search for the best banh mi in Metro Manila; the ones that come close to the real thing. We judged this hearty sandwich based on value for money, the amount and quality of ingredients, and overall flavor. All SPOT.ph Top 10 lists are researched, paid for, tested, and selected by the writers and editors. They are discreetly conducted without any notice made to the restaurant owners. 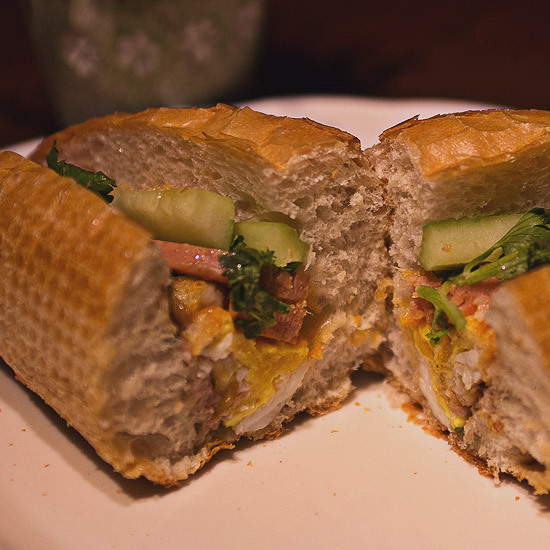 For this assignment, when traditional banh mi wasn't available, other varieties of banh mi (pork or chicken, whichever was available) were tested instead and judged according to overall taste. Pho Hoa has gained a reputation for being everyone's go-to Vietnamese restaurant. You've probably tried their pho many times, but it's about time you pay attention to their traditional banh mi, which is filled with either grilled chicken or pork. Their banh mi is served with kamote fries, which would remind you of the usual sandwich-and-fries combo at Western restaurants. Served with lettuce, pickled vegetables like carrots and cucumber, chili, and mayonnaise, Pho Hoa's version would have earned a higher spot if it had more meat. See a list of Pho Hoa branches. 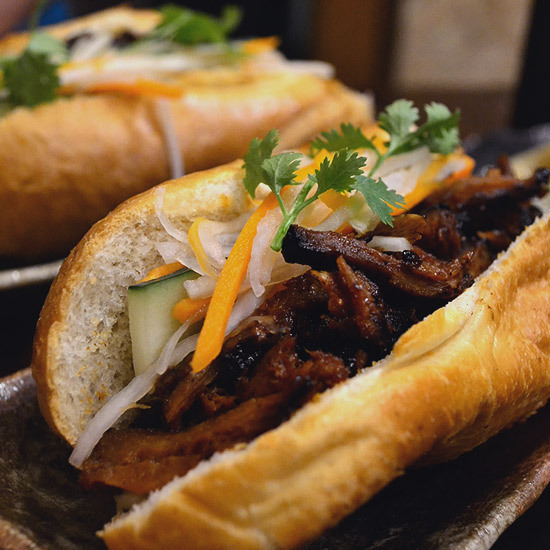 One would have high expectations from BONBanhmi because of the rave reviews on social media, but the restaurant's Traditional Banh Mi feels lacking in terms of ingredients. However, the servers are kind enough to add a bit more if you ask. The sandwich has a good balance of salty and sour as the dressing is spot on, giving you your money's worth. 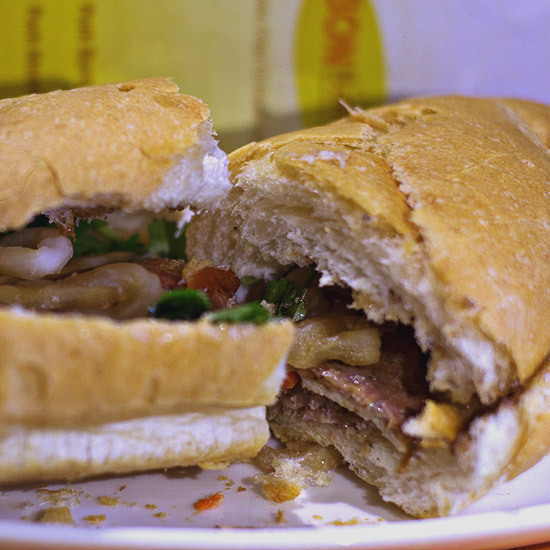 BONBanhmi has branches at Mayapis Street, San Antonio Village, Makati City; Kapitolyo, Pasig City; Mall of Asia Complex, Pasay City; Ayala Malls The 30th, Pasig City; and Alabang Town Center, Muntinlupa City. This hole-in-the-wall café with great coffee is the perfect hiding place from the hustle and bustle of the Metro. 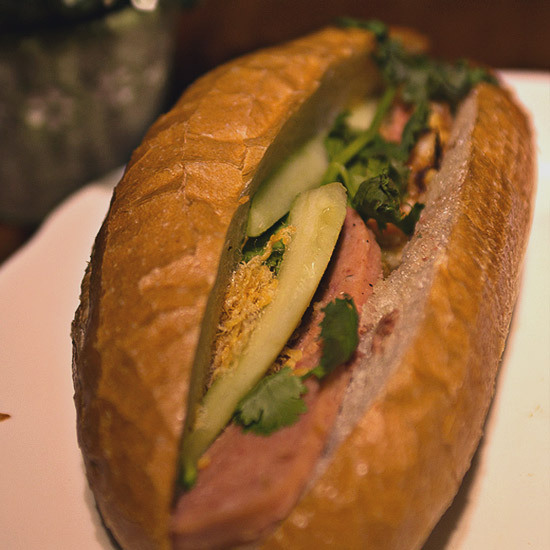 Their DiCoFi Style Banh Mi is reminiscent of the banh mis in Ho Chi Minh and is made up of ham, eggs, cucumber, parsley, and an oil-based dressing. Although it could use more protein, the bread is the winner here as it's slightly crunchy on the outside and fluffy inside. Their bread deserves its own list. DiCoFi is at Valero Plaza Condominium, San Agustin Street, Salcedo Village, Makati City. 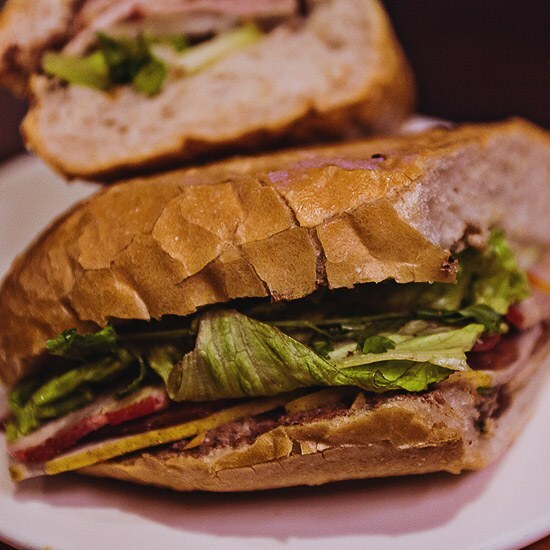 Ca Phe Saigon’s Banh Mi is great in terms of flavor, but could do better in serving size—you'll end up feeling just a little short of satisfied. You have to add another P50 for their Vietnamese homemade meat loaf, and another P30 if you want some chicken liver paté. Their baguette is only six inches long, the shortest among the ones we tried for this list, but the robust flavors from the fresh herbs combined with a thick, savory slice of meat loaf make it worth a try. Ca Phe Saigon is at 14 Red Cedar Street, New Marikina, San Roque, Marikina City. 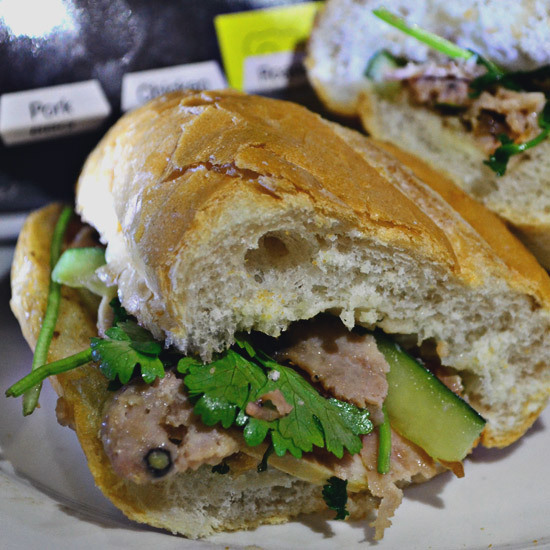 Vina Trang Cuisine's traditional banh mi contains the usual ham, pickled cucumber, parsley, and liver paté. The pork is soft and flavorful, which leaves you wanting more—order something extra, especially if you're extra hungry. Even though the bun is a tad too big for the filling, the flavors speak for themselves. Vina Trang is at 8839 Sampaloc Street, San Antonio Village, Makati City. You can take your pick from among Ba Noi's + Ca Phe's banh mi flavors: there's chicken, pork, beef tenderloin, and lemongrass tofu. The chicken and pork cuts are cooked to perfection, and the charring that adds depth to the protein stands out, but also plays well with the pickled vegetables and liver paté. This sandwich doesn't overwhelm you with sauce but you won't end up with something too dry, either—it flaunts precise proportions that let the filling really shine. Ba Noi’s + Ca Phe is at G/F, UP Town Center, Katipunan Avenue, Quezon City. Wabi-Sabi’s banh mi, or Banh My as it's called on the menu, only has one type of filling—asado with hoisin sauce. They combine it with pickled radish, cucumber, parsley, and carrots. The meat and sauce are lipsmacking with a touch of umami: savory and slightly sweet, but also sour. Yes, the asado is sliced flat and looks not much like the traditional banh mi filling, and hoisin sauce is a departure from the usual, but one thing's for sure—you won't be able to stop eating. Wabi-Sabi has branches at Tomas Morato, Quezon City, and Malugay Street, San Antonio Village, Makati City. While it's pricier compared to others on this list, P.H.A.T Pho’s banh mi strikes the perfect balance between too light and too hefty. The medley of cha lua or pork white ham, pressed meatballs really shines through, blending well with the layers of cilantro, cucumber, spring onion, scrambled eggs, and pickled vegetables. 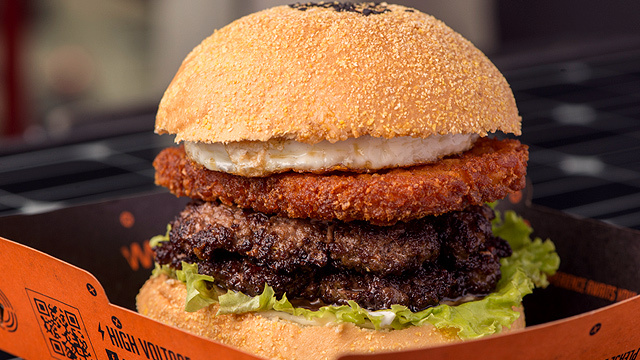 This is one of the meatiest in the Metro, making you forget that it's also one of the most expensive. P.H.A.T Pho has branches at Serendra, Bonifacio Global City and Power Plant Mall, Rockwell, Makati City. Banh Mi Kitchen’s The Classic is considered the most "basic" among the choices at this banh mi specialty shop, but basic is the last word we'd use to describe it. The bread is generously portioned, with the right balance of chewy and crunchy. 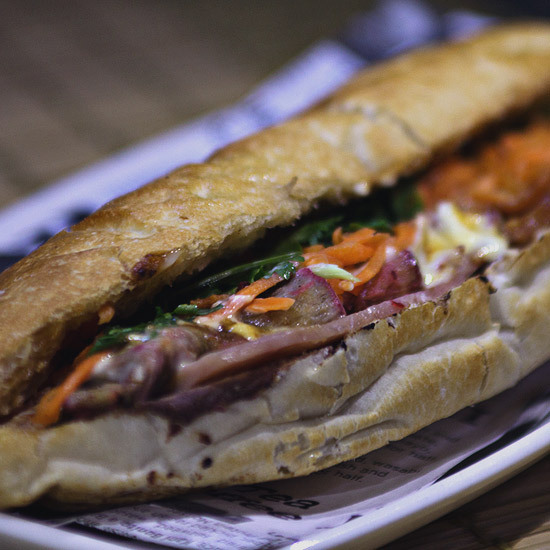 The filling, made up of Vietnamese ham, roast pork, pate, cucumber, pickled radish and carrots, mayo, and hoisin sauce, all blend together seamlessly to produce a sandwich that's as tasty as it is light and fresh. The only thing that kept it from snagging the top spot was a little too much sauce, but maybe there are those who wouldn't even consider that a flaw. Banh Mi Kitchen has branches at SM Megamall, Ortigas, Mandaluyong City, and BGC Stopover Pavillion, Bonifacio Global City. When you meet your soulmate, you'll feel that unexplainable sense of recognition. 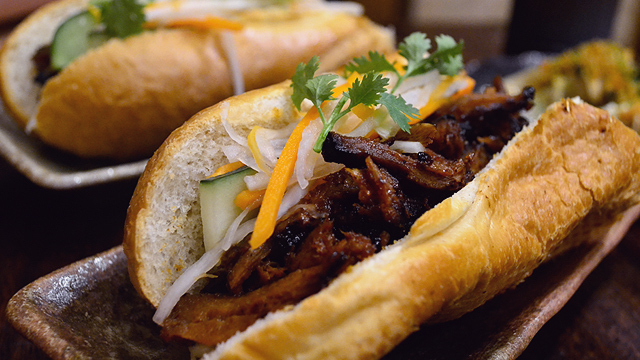 Your first bite of Jam & Viet Sandwich House's Traditional Banh Mi would be just like that. The Traditional here features roast and steamed pork. The protein sits in the sandwich below your usual pickled veggies, lettuce, liver paté, radish, cucumber, and parsley—but somehow, it all becomes a medley of pork and herbs that plays beautifully together. Perhaps it helps that their cook is Vietnamese, but we think the secret lies in the generous portions that leave you feeling happily satisfied...and already thinking of when you can come back for more. 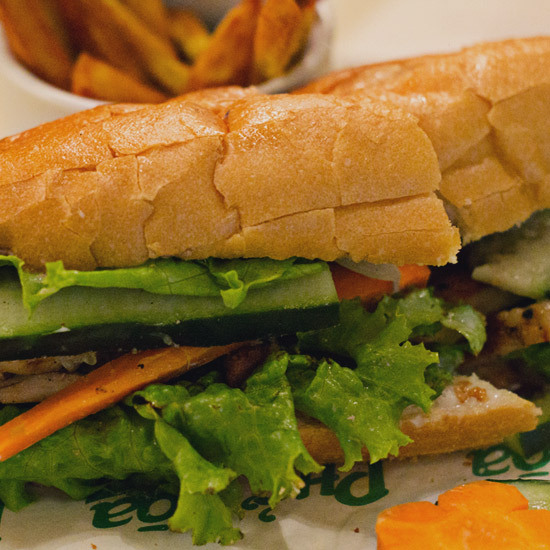 Jam & Viet Sandwich House is at Filmore corner Diesel Street, Palanan, Makati City.